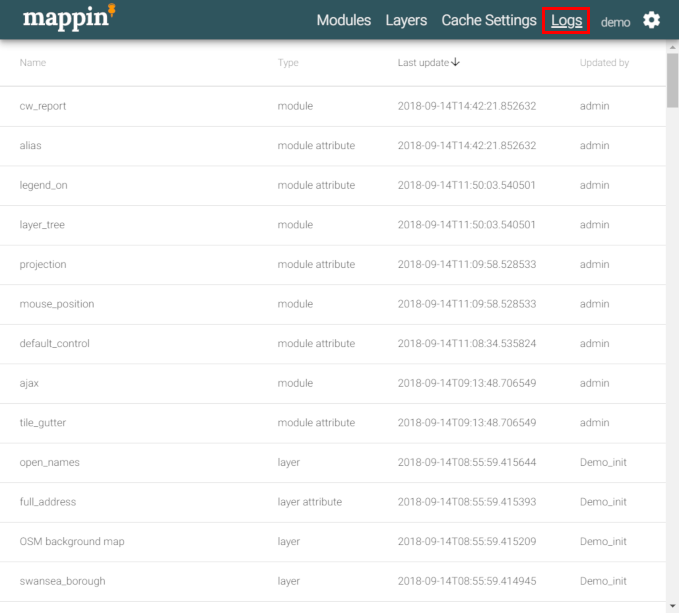 Mappin supports multiple administrator accounts and it’s recommended that an account be created for each user who will administer the system. Whenever a setting is changed in Mappin, metadata about the change will be logged. Such metadata includes the name and type of setting, when it was last updated and why by. Entries updated by Demo_init and Lutra_init are values that were set during initial deployment and can be ignored.